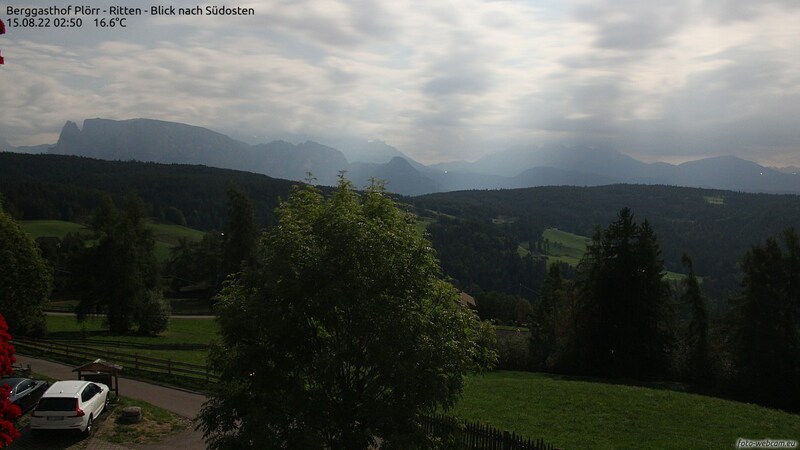 View from Hotel Plörr at Ritten to the Dolomites peaks of Schlern, Rosengarten and Latemar. We use a SLR camera with network connection and weatherproof case, this allows high resolution outdoor shots at any time of day and night. Our webcam is updated every 10 minutes, click to reload this page.